Washed ashore as a baby in ancient Greece, Halo is discovered by a family of centaurs. Although her true identity remains a mystery, she is loved as one of their own. But when Halo is dragged away by fishermen, her wild adventure begins . . . Halo soon realizes that if she is to survive then she must live in disguise - as a boy. 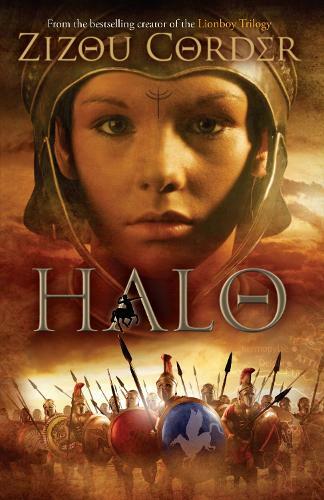 A violent war is threatening to erupt and Halo is at the mercy of the mighty Spartan warriors. And as she battles to hide her secret, Halo never forgets her quest to find out who she is - and where she really came from. I love this book because it's so adventuruos!!!! This is one of my favourite books as it seems so adventrous and you almost want to be there.